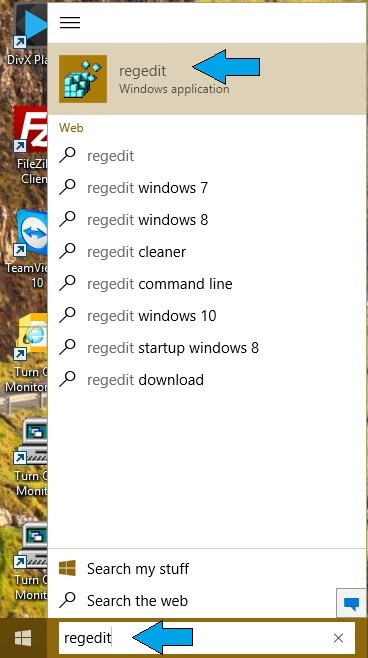 The right click of the mouse is used to invoke the context menu in Windows. Its a very powerful feature which displays the menu based on the type of selection that is made. Many times it acts as a shortcut way of invoking things quickly instead of doing it via certain other settings or programs. Having said that, there might be some scenarios wherein this menu is a hindrance for certain task that you are performing. 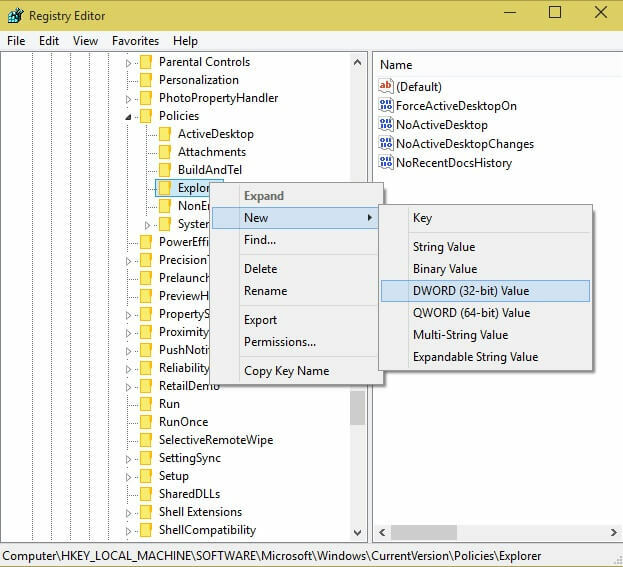 You might not want anyone to copy your image or don’t want anyone to accidentally rename your file or delete it with the using the context menu. For these and other various reasons you might feel the need to disable mouse right click. Disabling a mouse right click cannot be done using any straightforward settings or pressing any key. The setting are deep down in the registry and you have to be a bit invasive to achieve this. 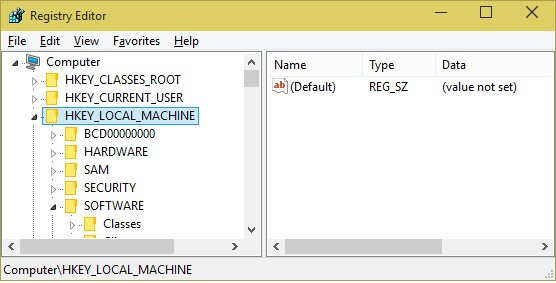 Below is a step by step instruction on how to change the registry setting to disable the right mouse click in windows which will in turn disable the display of the context menu. In the explorer look for a entry named ‘NoViewContextMenu’. If present select that entry and right click and select modify option..
A dialog box will be displayed. Change the value of the ‘Value Data’ text box to 1. Click OK for the changes to take effect. If the ‘NoViewContextMenu’ entry is not present then create one. 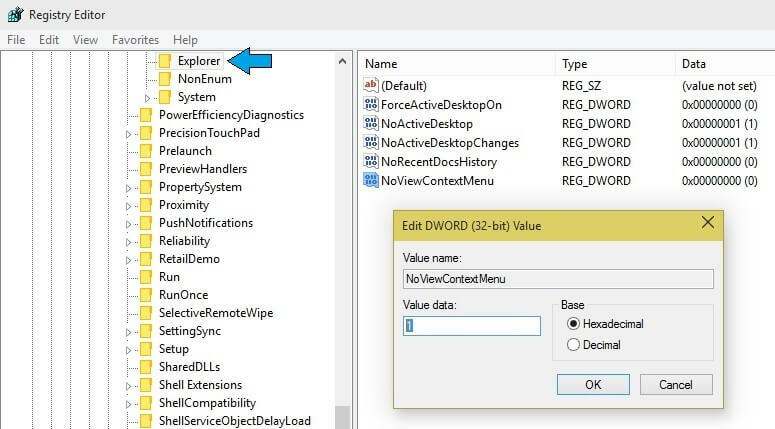 Right click on the ‘Explorer’ and select new and select ‘DWORD (32 bit) value’ option. Name this entry as NoViewContextMenu. Once the entry is created then modify it using above steps. Restart the machine and your mouse right click will be disabled. In-case you are not comfortable doing the changes then you can use some exiting utilities which can also disable mouse right click. Mouse Disabler is a utility which you can use for this purpose. This utility has a simple menu which allows you to select which mouse key you need to disable and that’s all !!! You can choose any mouse key right, left middle scroll wheel or even mouse movements. You can also toggle between enabling and disabling the keys if required by just selecting the appropriate option. You can download the utility from Mouse Disabler. Try the utility for a hassle free experience !